The water in Temple and surrounding areas typically is between 10-12 grains per gallon all the way up to 100 grains per gallon in rural areas. Additionally homeowners are finding the presence of chlorine odor in their water. Chlorine taste and odor can be removed by utilizing reverse osmosis technology. The solution to hard water problems is an ultra-efficient, salt and water saving, Culligan water softener. 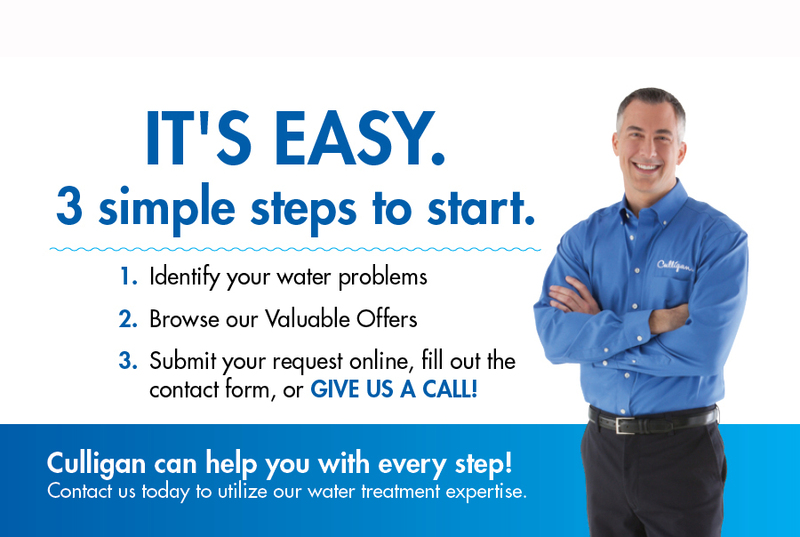 Your Culligan Man is prepared to test your water, recommend the right model water softener for your needs, install the system, and provide any ongoing service you may need, including the delivery of water softener salt on a regular basis. The solution to poor quality drinking water is a reverse osmosis drinking water system. This system will provide bottled water quality at your kitchen sink for about the cost of a can a soda per day. Better tasting coffee, tea and juices as well as clearer ice cubes. With better tasting water you will find that it is easy to drink the 8 glasses of water per day that is recommended.